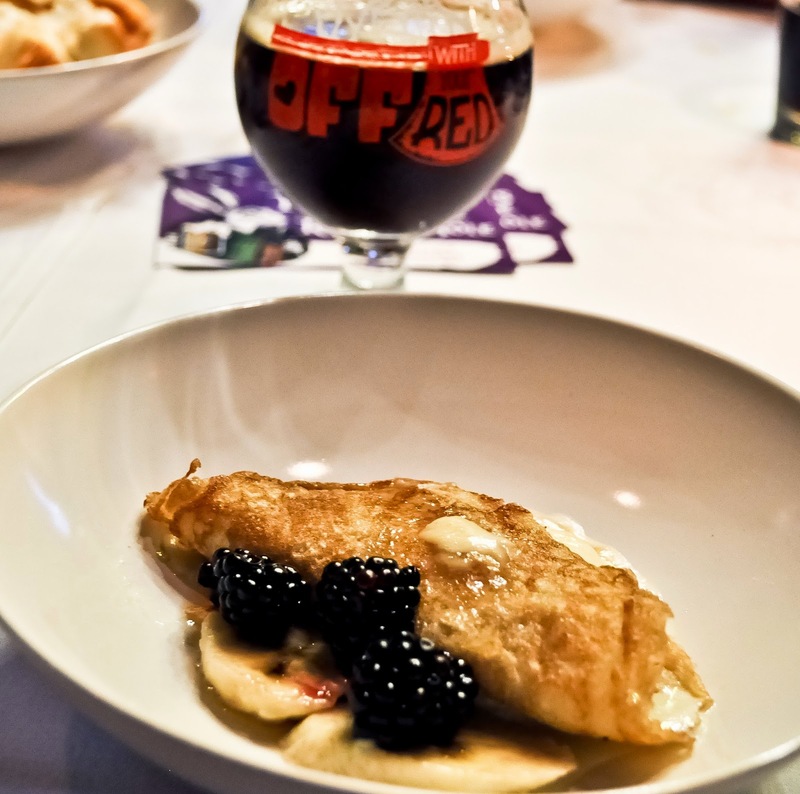 Recently I followed Rabbit Hole Brewing down their rabbit hole and into a food comatose following a four course beer and food pairing done at the Uptown neighborhood bar/bistro State & Allen. 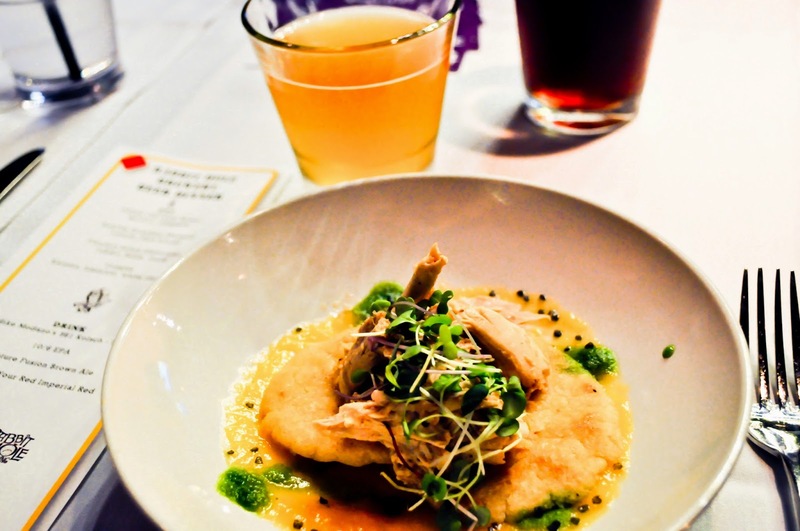 I had never been to State & Allen before so I was anxious to try their food offerings alongside beer from one of my favorite breweries in the DFW area. Let's go course by course shall we? Thoughts: This was my least favorite pairing of the night. The chicken was a little too dry and bland. A little more spice kick from the jalapeno would have helped bring out some fruitiness from the hops used in this Kolsch. Thoughts: The two by themselves, fantastic. 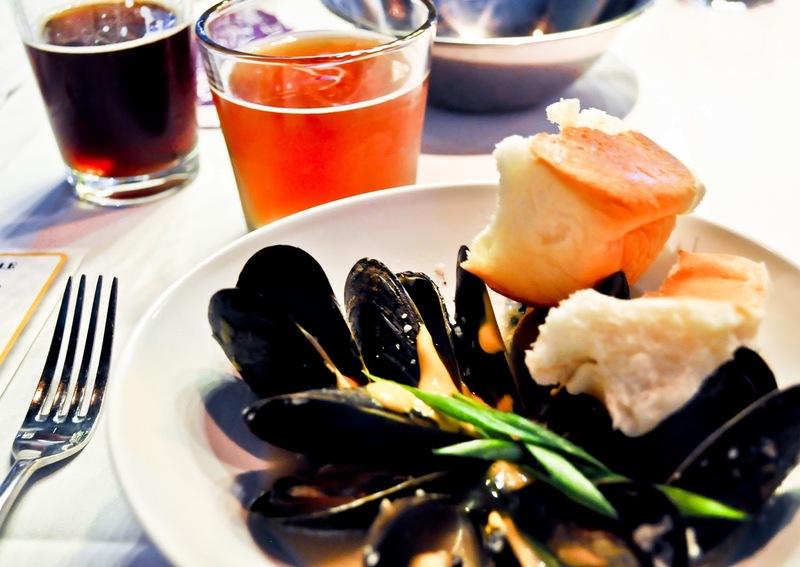 I loved the mussels, perfectly cooked with a very flavorful broth that I would gladly bathe in. The 10/6 English IPA is one of my favorites from Rabbit Hole, marrying that balance between malty sweetness and grassy/herbal hoppiness. Together? They just didn't do much on the palate, the pairing fell kind of flat. Thoughts: If State & Allen is reading this, please put that rabbit sausage on the menu, it was fantastic! The whole dish had that rustic feeling and was a perfect 'comfort dish.' Not only that, the pairing was perfect. Taking a bite of the rabbit sausage and taking a drink of the Rapture Brown brought out this pleasing sweetness that you would otherwise not get. 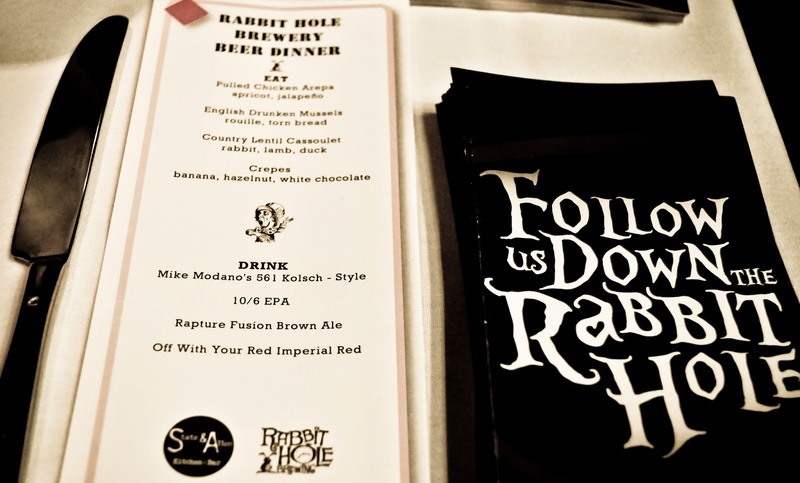 Seriously, I want to buy a pack of that rabbit sausage and have a backyard BBQ w/ a keg of the Rapture Brown. Thoughts: Perhaps my favorite pairing of the night. I'm tired of the same ol' dessert pairings with stouts or fruit beers, they've become too safe in my opinion. State & Allen took a risk with this one and it paid off. I couldn't tell what it was, perhaps the banana, that helped bring out this intense fruitiness after taking a drink of Off With Your Red. It took a second, but once the back of your tongue got hit with it, game over. I couldn't stop eating this one. When it was gone, I wanted more. 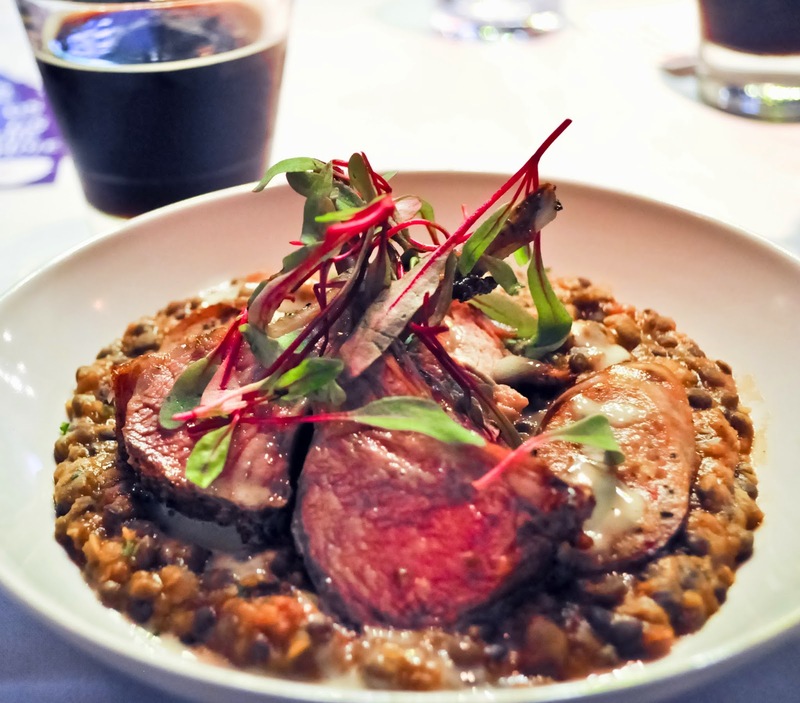 Overall, even though the first course fell flat, the meal progressively got better and better with two fantastic pairings. State & Allen, you have a new fan. I will be back. Expect more beer and food dinners from them in the future, they're talking about hosting one once a month. 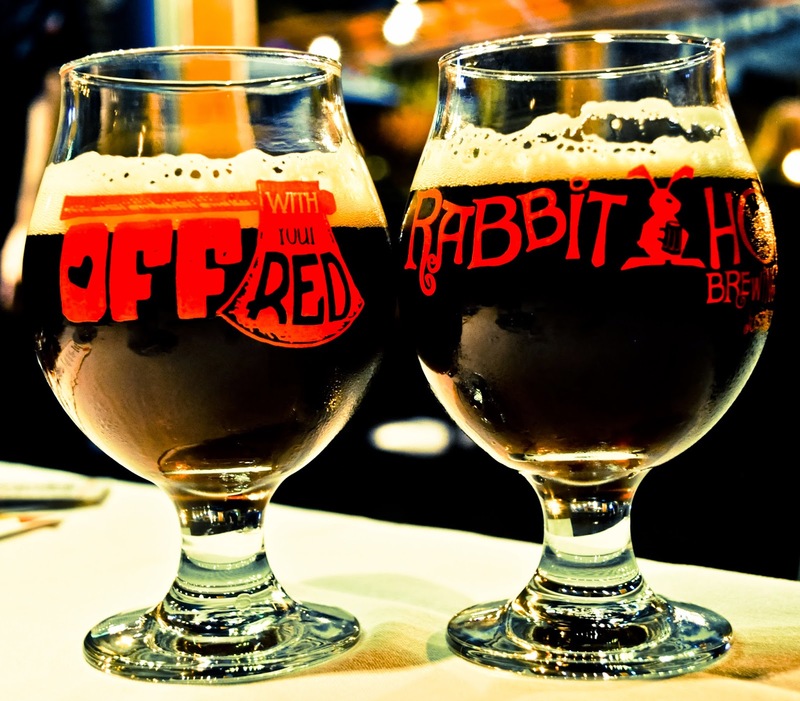 Rabbit Hole, keep doing what you're doing by brewing that good stuff for DFW. Cheers! 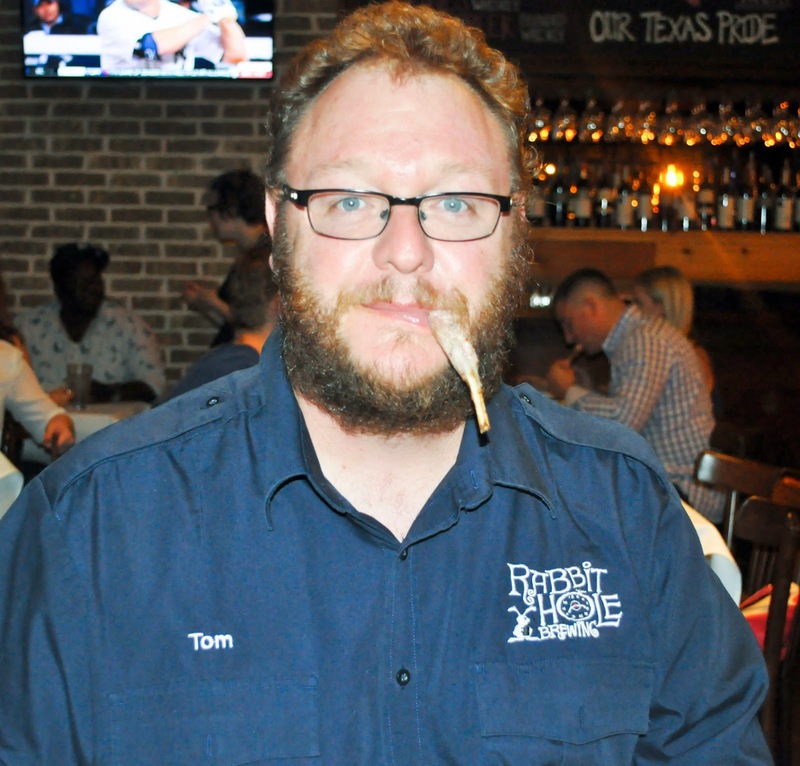 For more information on beer in Dallas check us out on Facebook and Twitter!